Katja Swift is an herbalist and teacher working to help adults, children, and families rebuild their relationships with their bodies and with their own ability to heal. 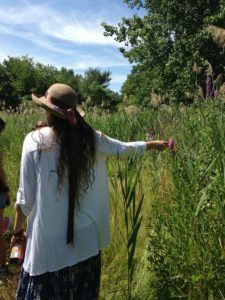 She is the director of the CommonWealth Center for Holistic Herbalism, and teaches privately and publicly around the city, as well as for the Massachusetts College of Pharmacy and Health Sciences and Northeastern University. She works with adults, children, and families to find optimal health: whether you are suffering from chronic illness or just the sniffles, whether you’re feeling that something just “isn’t right”, or recovering from an intervention-based treatment such as a course of antibiotics or chemotherapy. By teaching people how to eat real food and use plants as medicine, she helps them to reestablish their connections to the earth, to themselves, and to one another. Katja believes that with education and support, people can make their own good choices about how to live healthier. If you’re struggling with chronic illness, weight issues, or depression; if you seek alternatives to Ritalin; if you have daily pain but you have learned to consider it “normal”; if your health isn’t all you want it to be . . . talk to Katja! Katja grew up the daughter of a nurse, and started working with the plants as medicine in the 90s. She trained with Rosemary Gladstar, and later with Guido Masé and David Dalton, and ran a family practice herbal clinic in central Vermont. She owned and worked a 150-acre certified organic farm, raising heritage breed livestock and market and herb gardens. She taught monthly at the local coop, and as a guest lecturer at Dartmouth Medical School and the UVM Medical School. She presented annually at the Northeast Organic Farming Association conference. 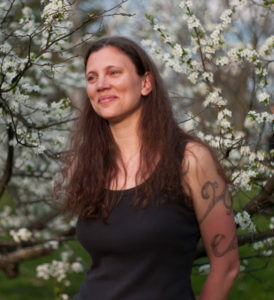 While living in Vermont, Katja worked actively to help pass the Right to Know Seed Labeling Bill, which became the first anti-GMO law in the nation, as well as the Farmer Protection Act. She also worked extensively with the Weston A. Price Foundation, as a chapter leader, educator, and researcher. 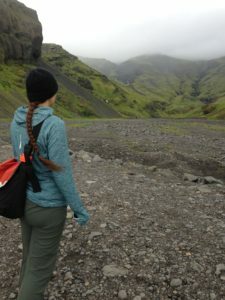 Her journey with traditional nutrition research has wound from WAPF through to the paleo and ancestral food movements. Katja has published articles in Plant Healer Magazine, the Journal of the American Herbalists Guild, and the Journal of the Northeast Herbal Association. She speaks nationally at various conferences each year. Katja moved to teach and practice in Boston in 2007.